This time of year my head is saying one thing (“Spring is here! Bring on the warm weather duds!”), but my body is saying another (“Brrrr, I’m freezing!”). To appease these dueling forces, I’ve worked out a solution that I hope will make both voices happy: City Gym Shorts in Lana Cotta Canberra! 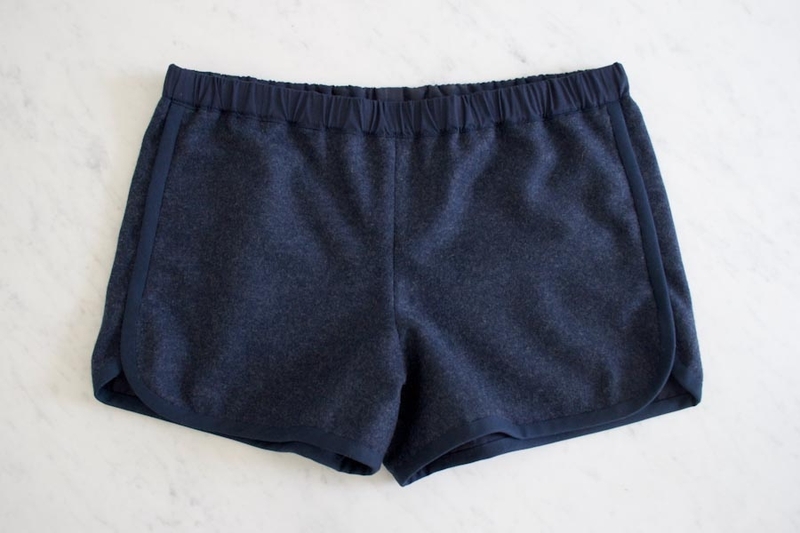 Our tried and true City Gym Shorts are just the style to make my head feel like it’s dressing for the season, and Lanecardate’s beautiful felted wool is cozy enough to keep my body warm. Together they are a spring wardrobe dream team! Matching the laid-back style of the City Gym Shorts with the sophisticated Lana Cotta demanded a few adjustments to the original pattern. First, I added a lining layer: in Robert Kaufman’s super soft Cambridge Lawn for women and in Liberty of London’s lovely Tana Lawn for kids. And second, for a more refined look I finished the binding with a clean, hand-sewn edge. Outer Fabric: ¼ (¼, ½, ½, ½, ½, ½) yard of Lanecardate’s Lana Cotta Canberra. I used Bromide (Blue). 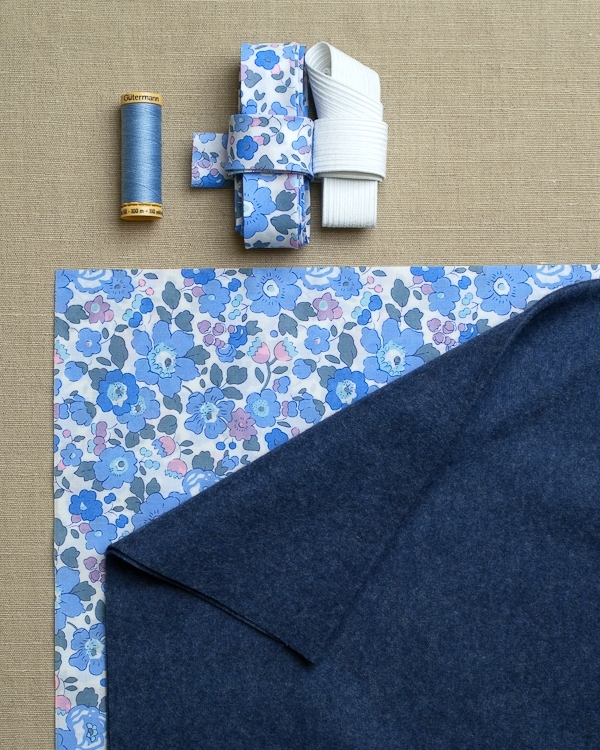 Lining: ½ ( ½, ¾, ¾, ¾, ¾, ¾) yard of Liberty of London’s Tana Lawn. I used a Classic print called Betsy, Blue. 2 (2, 2, 2 ½, 2 ½, 2 ½, 3) yards of Purls Soho’s Liberty Bias Tape. I used Betsy, Blue. A 110-yard spool of Gutermann’s 100% Cotton Thread. I used color 7310. 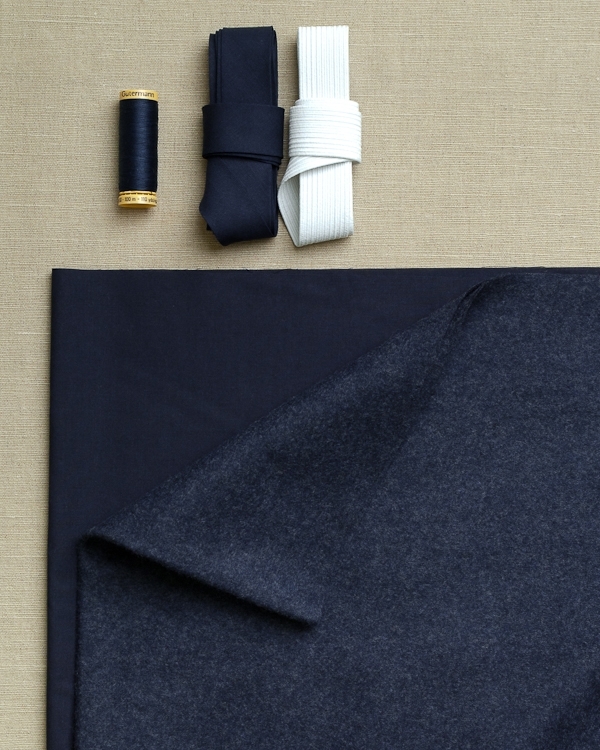 Outer Fabric: ½ ( ¾, 1, 1, 1) yard of Lanecardate’s Lana Cotta Canberra. I used Bajkal (Dark Blue). Lining: 1 yard of Robert Kaufman’s Cambridge Lawn. I used Navy. 3 (3, 3, 3 ½, 3 ½) yards of Purls Soho’s Bias Tape by the Yard. I used Indigo. 1 (1, 1, 2, 2) yards Braided Elastic – 1 inch, White. A 110-yard spool of Gutermann’s 100% Cotton Thread. I used color 6250. To fit hip sizes 33-34 (35-37, 38-40, 41-43, 44-46) inches in circumference with around 2 inches of ease. 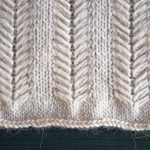 The right side of the wool is the side with the small “V” pattern (as opposed to the side with the ridges). The two Front and two Back pieces from the same fabric should be mirror images of each other. 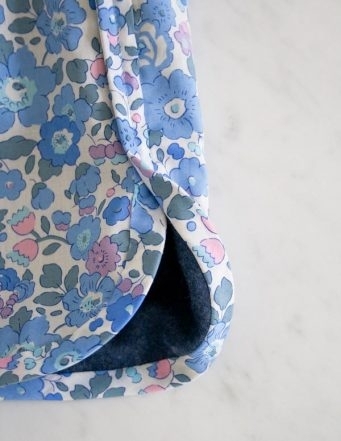 To be sure to cut them with the proper orientation, cut one with the right side of the fabric facing up and one with the wrong side of the fabric facing up, or you can fold the fabric with the right or wrong sides facing each other and cut through both layers at once. For Kids, it should measure 4 ¾ by 23 (24 ¼, 26 ¾, 28 ¾, 30 ¾, 32 ½, 33 ½) inches. For Women, it should measure 4 ¾ by 36 ¼ (38 ½, 41 ¾, 45 ½, 48) inches. For Kids, cut the Bias Tape into two 30 (33, 36, 39, 42, 45, 48)- inch pieces. For Women, cut the Bias Tape into two 48 (50, 53, 56, 60)- inch pieces. For Kids, trim the Elastic to 19 ½ (20 ½, 21 ½, 22 ½, 23 ½, 24 ½, 25 ½) inches. For Women, trim the Elastic to 30 (32, 35, 39, 43) inches. Piece the Front and Back pieces of the Lining Fabric as described in the original pattern: Using the Lining pieces, sew the two Front pieces together; sew the two Back pieces together; then sew the Shorts Front and Shorts Back pieces together along the short crotch ends. This is now the Shorts Lining. Repeat with the Front and Back pieces in the Outer Fabric, except do not finish the seam allowances as described. Instead, press the seams open. These are now the Outer Shorts. 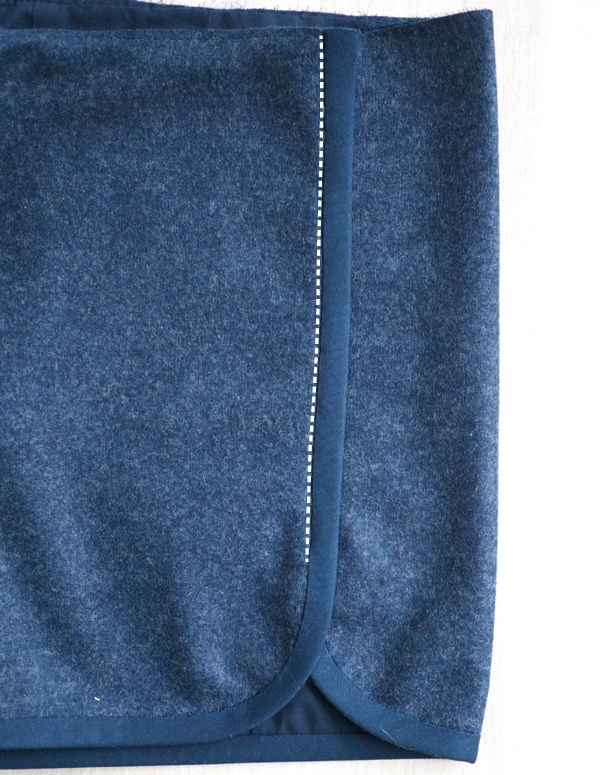 With wrong sides facing, tuck the Shorts Lining into the Outer Shorts, lining up all edges and seam lines. Smooth out all wrinkles and pin in place along all the edges. Sew around the side and bottom edges of the Short (but not the top waist edges) with a long basting edgestitch (about 1/8 inch from the raw edge), making sure to pick up both layers of fabric as you sew. Open the fold on one long side of one of the Bias Tape strips. 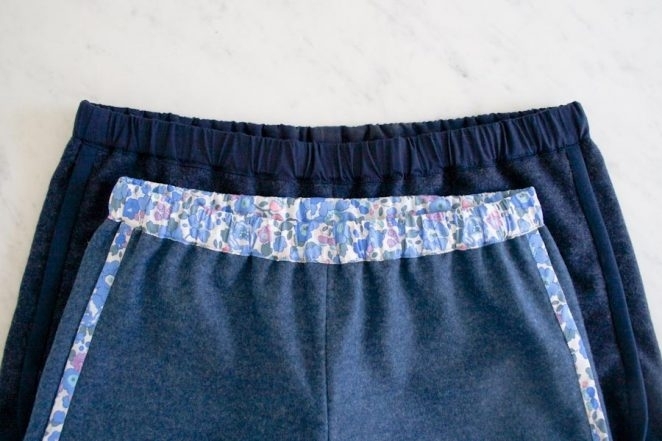 With right sides facing, pin the open fold of the Bias Tape around the edges of the Shorts, lining up the raw edge of the Bias Tape to the raw edge of the Shorts. 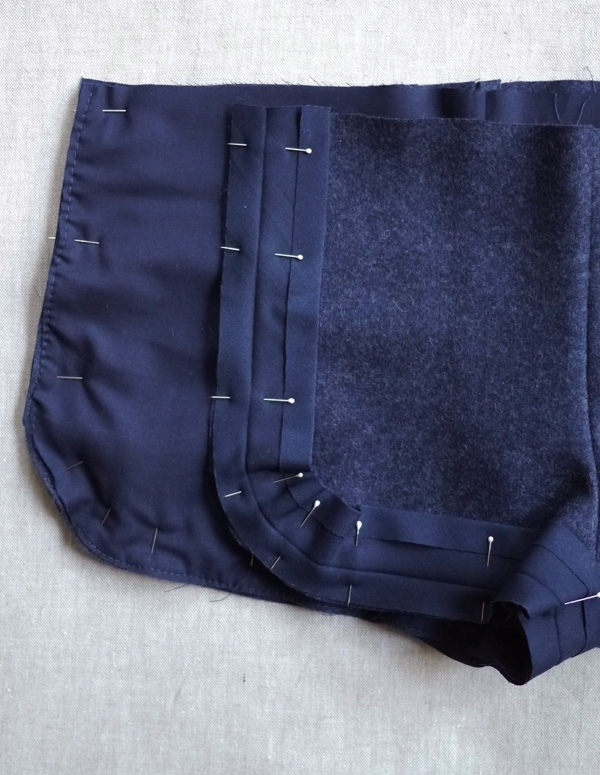 Start at the top corner of one Front side, work around the bottom hemline and then up the Back side, or vice versa. Machine sew the Bias Tape to the Shorts with a ¼-inch seam allowance. Now turn the Shorts so that the wrong sides are facing out. Fold the Bias Tape around the raw edge, and using pins or binding clips, secure the folded Bias Tape to the wrong side of the Shorts. 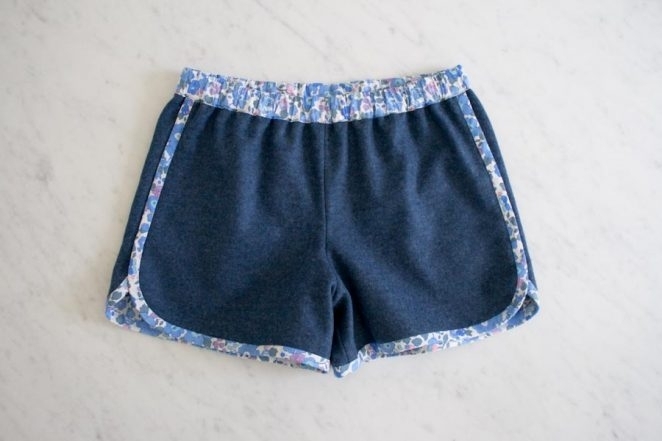 Sew the Bias Tape to the wrong side of the Shorts using a slip stitch. 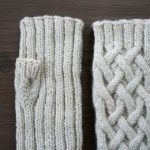 For detailed instructions on how to do this please visit our Slip Stitch Tutorial! Repeat on the other side of the Shorts with the other Bias Tape strip. Pin one Front side of the Shorts to one Back side as described in the original pattern. 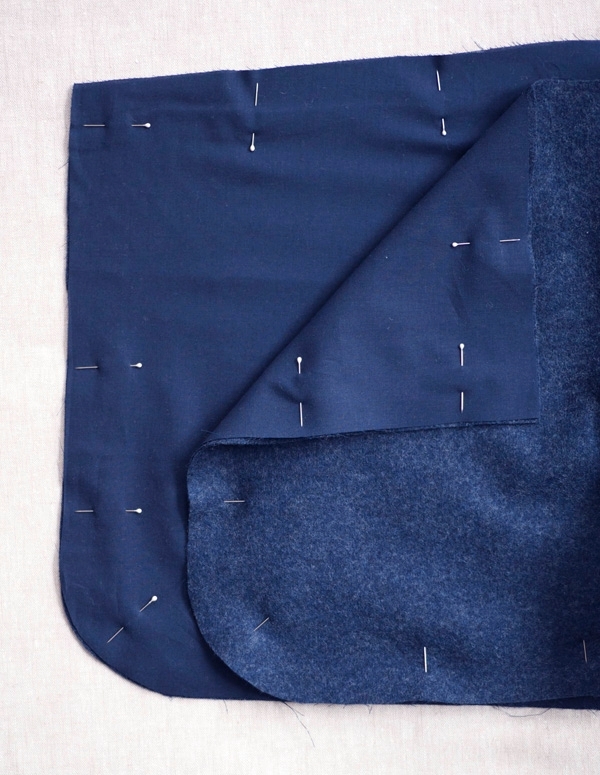 If you used a machine stitch to attach the Bias Tape, sew the Front and Back sides together as described. Stitch the Front and Back pieces together “in the ditch” of the seam connecting the Bias Tape to the Shorts. Finish the Shorts as described in the original pattern. Corinne … how do I take care of them … is the lana cotta washable? Thanks … they are beautiful indeed … what’s not to love about a Liberty of London pairing? But wondering if they are practical?! The recommended care of the Lana Cotta Canberra is dry clean only, so you would want to care for these shorts as you would any delicate garment. Though it is quite stunning looking, even from my computer screen. I can’t imagine what it would look and feel like in person. 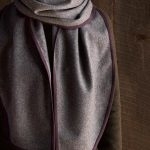 Is there any alternative wool that would be more budget friendly? Thanks to its fine knit fibers, the Lana Cotta Canberra wool is an extremely soft and fluid fabric, but yes, also a bit expensive! We also carry the Dorr Mill Wool Yardage, which is a woven, fluffier wool, and slightly less in price. It is also soft and lovely, but not as refined as the Lana Cotta. Another great alternative for these shorts would be Robert Kaufman’s Shetland Flannel. It is the softest flannel I know and comes in a beautiful range of colors. These are super cute and make me wish I had a sewing machine again! Hi! These are so lovely! What a wonderful idea to use that beautiful wool paired with Liberty. 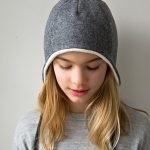 I’d like to try sewing some for a 13 yr old girl and am wondering if you have a pattern that covers that size range. It appears that the girl’s sizes stop at 11 and then pick up again at womens. Any suggestions for the teen set? Thanks so much! The jump from size 11 for Kids to the smallest Women’s size is actually the difference of a typical size jump, but with some small changes in proportion. 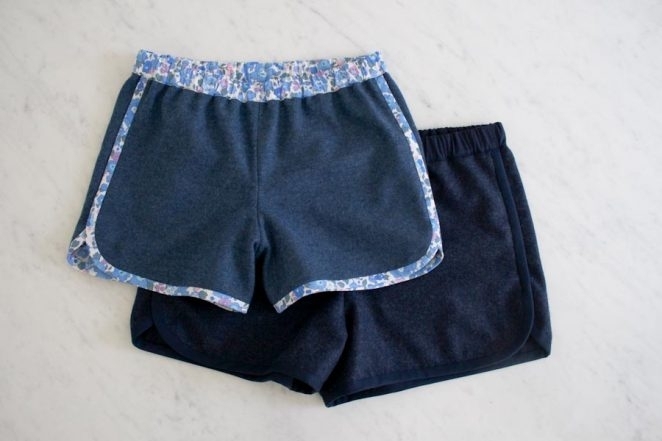 To make a pair of shorts for your 13-year-old daughter, I suggest going by the sizing listed in the Women’s pattern and making her a pair that will fit her hip measurements. This helps a great deal – thanks so much! I will take your suggestion and go with the hip measurement. Thanks again! Re. Lanna Cotta Canberra: Instead of dry cleaning could this fabric be washed carefully in tepid water and mild soap and dried flat as one would treat a special wool or cashmere sweater? Dry cleaning with harsh chemicals is never an option for me with lovely textiles. The recommended care for the Lana Cotta is dry clean only, but it can certainly be laundered in whatever way you feel the most comfortable. Just keep in mind that it may change the texture of the fabric. We washed a square of the wool in cold water as you described and found that the fabric was slightly fluffier and more felted in the end, but still lovely. I suggest washing a sample square first to make sure you are pleased with the results. This is a great question – and an important distinction! In our experience, the fabric became a little more dense, and shrank slightly, but nothing drastic. To avoid any potential problems with this change in your Shorts (or with any garment), I recommend laundering the fabric exactly as you would like to launder the final piece before you begin sewing. This should avoid any surprise shrinkage or reshaping after all your hard work! But again, with a fabric like the Lana Cotta, which will change with washing, I recommend laundering a test swatch first to make sure you are happy with the results before you wash the full yardage. I love these shorts! Beautiful styling! But… this tutorial is kicking my tail. I am in the process of attaching my binding and I am having a tricky time getting everything to lay flat. I just hope they dont look too homely! I guess I am more of a beginner sewer than an intermediate beginner as I was hoping! 🙂 But I am still very inspired by all that Purl Bee does! Thank you for your kind words about the pattern! I’m sorry you are having a hard time with the binding. A curling blinded edge usually means that the binding strip is pulled a little tighter than the fabric would like. Do you think that could be the issue here? As you are attaching the binding, you want to make sure that the binding strip remains unstretched, particularly around the curves. This can be tricky since the bias binding has a natural stretch that is easy to exploit. This can also happen in the hand sewing portion. If your stitches are pulled too tight the fabric will pucker or curl. If neither of these sound like the issue, or if you’re just not up for re-sewing, a burst from a steam iron could do the trick to relax the fabric and straighten any curls. Please let us know if you have any other issues as you work on this project! Thanks Corinne! Im doing a little better; about to attach my waistband. I think my next pair will go smoother! Rough draft kind of thing. I want to make a fleet of them 🙂 I really appreciated your tips! They helped! 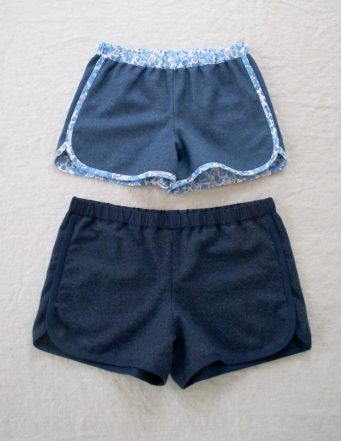 Nice… love that cute floral detail on the shorts! I love your tutorials. You make so many beautiful things. And your sewing is neat as a pin. I was just traveling in Norway and Sweden. In one of those countries, I saw a women wearing a knee length skirt that was the same style as your your gym shorts. It was so cute! I wondered how I could make it. I believe this tutorial has answered my question. Now that I know how the bias and side seams are put together, I think I can modify a straight skirt to look like this. Thank you for being so cutting edge on style. It is so frustrating to see something I like that I can’t buy in my small town or that I can’t find a pattern for. 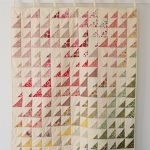 I can’t seem to find the link to download the pattern, even on the orignial post. I’m sorry the link is hiding from you! You will find it in the Materials list above. The Kids template is the last item listed with the Kids materials and the Women’s template is the last item listed with the Women’s materials. Please let me know if you have any other questions as you work on this pattern! I was wondering if you could give advice on how to make these in plus sizes? Thanks for contacting us! I think what I would do is take the measurements of the largest size pattern and see how much percent bigger your measurements are in comparison. It might not come out right the first try, so I would do a muslin first and continue to improve the fit. This takes a while, but you’ll have custom shorts! 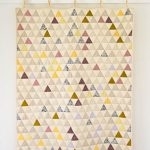 Love this pattern!!! Just finished the non-lined CGS for my daughter & she loves them. Sewing them this way would make them reversible??? Right? Thanks for reaching out, and what a great idea! 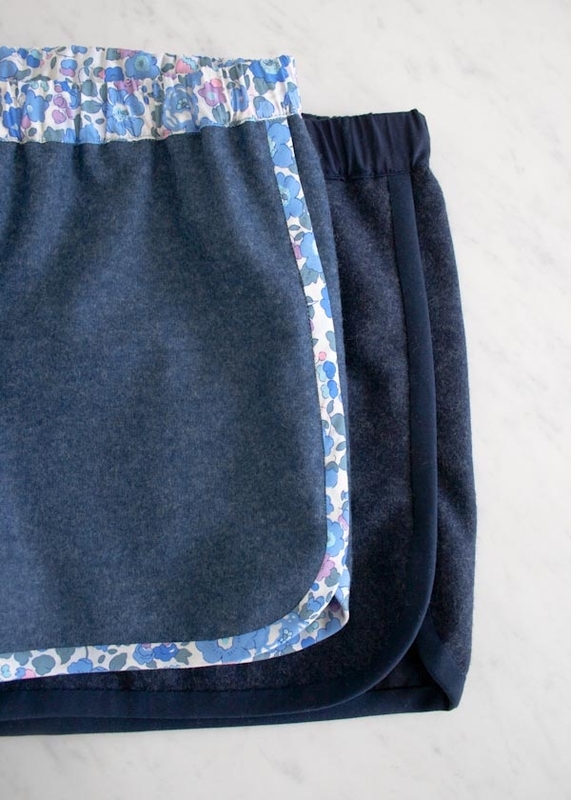 Yes, since all the seams are finished completely on the inside, you could wear these as reversible shorts! If you try it, please do let us know how they turn out!